While we unfortunately can't make it along to the event again this year, we urge you all to head over to the Princess Victoria on March 2nd 2015 for some high quality pork pies and to raise money for Action Against Hunger! Selfridges' restaurants director Hannah Bass, Andy Bates (of Food Network and Eat My Pies fame) and chefs Rowley Leigh and Henry Harris and food writer Joe Warwick (from the Metro) will be in attendance - and there will be some amazing pies! 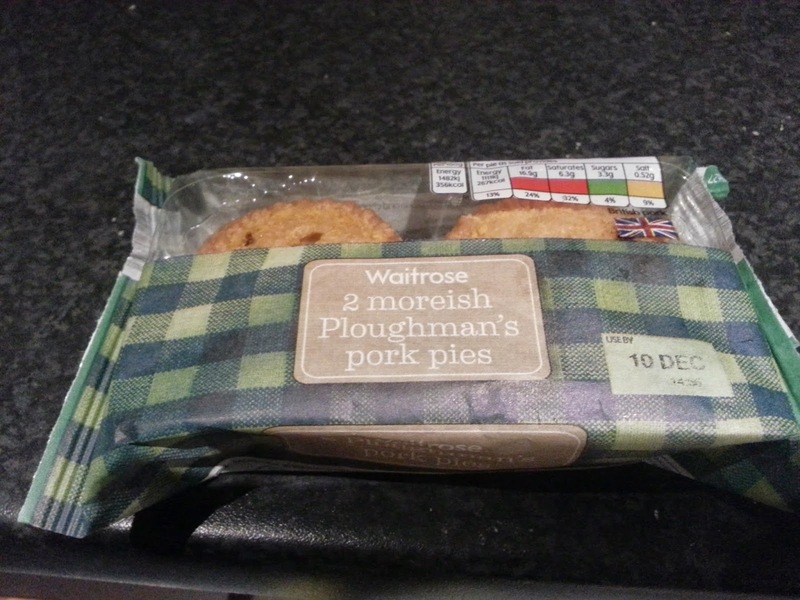 Speaking of pork pies, I tried out these Waitrose 'moreish Ploughman's pork pies'. 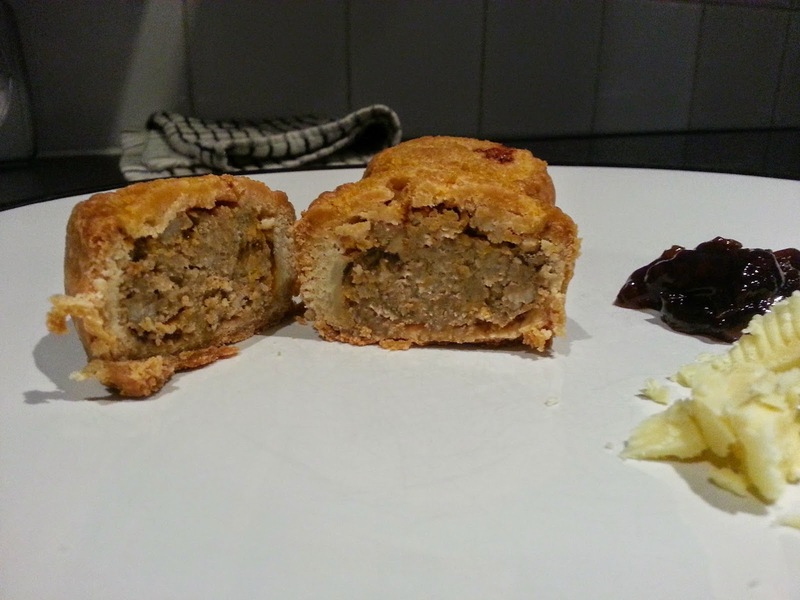 These treats consisted of hot water crust pastry encasing a seasoned uncured British pork, cheese and pickle filling. The pies are a nice golden brown colour - however a few imperfections on the lid will lower the score for condition. In terms of capacity, the pastry is a little too thick and therefore the high crust:filling ratio reduces the capacity of this pie. Weirdly, the pie also seems to lack any jelly. For content, the meat looks and tastes of good quality. The cheesy pickle filling is actually very tasty, and very convenient if you don't have any of your own pickle and cheese nearby (fortunately I did have my own though). These pies were reasonably expensive - at about 70p per pie, these pies are too small to offer great value for money. The 'Ploughman's' is a nice twist on the regular pork pie filling.